The key to becoming a successful player in the modern game of tennis is through quality instruction via on court drills and match play, proper footwork, superior fitness, and a strong mental fortitude. The adage that “only perfect practice makes perfect” holds true for all aspiring collegiate and professional tennis players. Michael has more than 20 years of experience analyzing opponents games, correcting technique, and developing strategy. 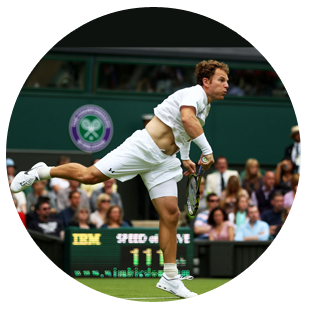 At Michael Russell Tennis, the right motor learning is paramount to developing the correct muscle memory to play at the highest levels. Michael personally coaches each individual player and sessions include live ball drills, hand feeding, basket feeding and point play, which creates an ideal environment to maximize the player’s talent and development. 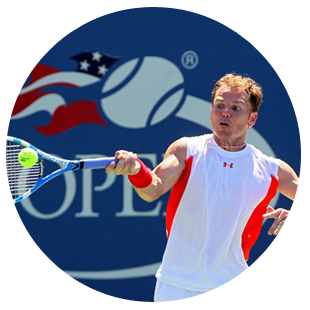 Footwork, fitness and recovery methods were the foundation of Michael’s success as a junior, college and professional player on the ATP WorldTour. Michael is known as one of the fittest, fastest, and hardest working tennis players in the modern game of tennis. 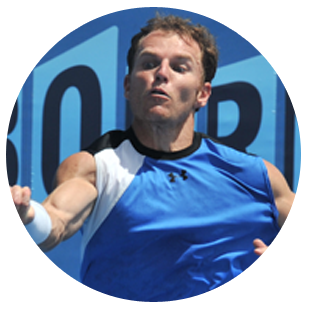 Michael Russell Tennis has fitness programs personally directed by Michael to ensure every individual player is maximizing their fitness capabilities, learning the proper on court footwork and utilizing important recovery methods to stay injury free. Each player will have a tailored personalized fitness, speed, gym, and recovery program. This ensures each athlete maximizes their own individual strengths and weaknesses to help them excel on the tennis court. Tennis has more variables and adversity than any other sport in the world. Players have to adapt to different surfaces, environmental conditions, playing conditions and different opponents. To be a successful tennis player, players have to learn how to understand and cope with this adversity through mental conditioning. Mental conditioning is extremely important as it trains the player to understand and control their emotions, thoughts, and physical awareness in stressful situations. Through 32 years of playing tennis (17 years on the ATP WorldTour), Michael has learned different techniques and rituals for adapting to these high stress, adverse conditions on and off the tennis court as well as key motivational methods. Michael will personally work with each player to help them learn different tools and techniques for dealing with adversity as well as different methods for increasing self-confidence and motivation.